Here are five ways your most dependable gadget – the smartphone –can help you kill time, even if you are not connected to Wi-Fi while on a long flight. 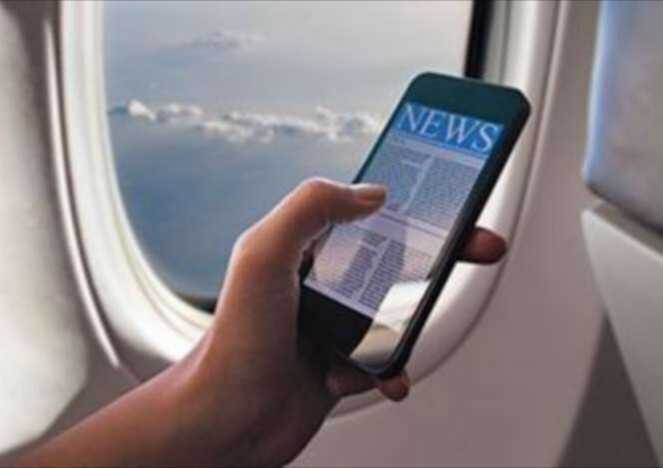 Surviving a long-haul flight using smartphone is all about preparation; so you need to make sure you are all set in advance. Bookworms should make use of the many free e-reader apps out there – from Kindle to Kobo – that can give you access to as much literature as you want without the hassle of an extra device (or a suitable full of paperbacks). These apps of course give you access to e-books you can buy but there are also plenty out-of-copyright classics available to download for your flight: The Great Gatsby, 1984, Les Miserables (watch out, it’s long) and Pride and Prejudice, to name just four. Whether or not you own an actual physical e-reader, you can while away some time reading. Your music tracks and movies aren’t much use if they’re stuck up in the virtual cloud while you’re flying through the actual clouds: so make sure you’ve got plenty of playlists and content cached ahead of time. Most of the streaming music apps let you do this, including Spotify and Radio. Television shows and films are trickier: Netflix has no offline mode but Amazon Video now does. If you’ve bought content from iTunes or from Google Play, then you can have the spare capacity on your handset (in the case of Google, you can choose the download quality). If you are not tempted by a proper e-book, why not catch up on some of your online reading? Any decent read-it-later app worth its salt (such as Instapaper and Pocket) will let you cache articles for offline reading: so it’s a great opportunity to finally make your way through What is Code? If you know you’ve got a long flight coming up, then you might want to hunt through your RSS reader or Twitter favorites to find all of these articles you’ve never had chance to get around to reading, or have a scout around for some new long reads that look interesting. The best way to speed up time while you’re at 30,000 feet is to forget you’re in an airplane and transport yourself somewhere else using nothing but the power of mind. Rather than listening to music, try drifting away with some ambient sound – Nosili has an offline mode, for example. There are plenty of ambient noise and meditation apps to pick from, though you should check for offline capabilities and invest in a good pair of noise cancelling headphones before you head off for the airport. Alternatively, queue up a few episodes of your favorite podcast, or a few episodes of a new one you want to try. Maybe being on an airplane isn’t the best way to get the creative juices flowing, but if you are the sort of person who can focus on what’s right in front of you, then working on a project you love can help you speed up the clock a little bit while you’re in the air. Your options are wide open; install a doodling app, a minimal writing app, or a music composition app. Just make sure there’s something there to help you take your mind off the trip. And if all else fails, you could always fall back on whatever addictive game happens to be storming the app charts at the time of your long-haul flight.